The basic design of gas-absorption refrigerators — the type most often used in RV applications — hasn’t changed all that much since they first went into commercial use almost 90 years ago. Sure, they’ve been frequently upgraded with features that make them nearly the equivalent of compressor-driven residential units, and they’ve been restyled to today’s standards. Operationally, however, they still employ the same original concept, using the same basic components — ammonia, hydrogen gas and water — in a closed system to create a chemical reaction that cools by way of evaporation. That will change — to an extent — in August when Atwood Mobile Products plans a controlled rollout of its new RV refrigerator because the new Atwood reefer incorporates helium instead of hydrogen. According to Kip Ellis, vice president of sales and marketing for the Elkhart, Ind.-based supplier, the company wanted to focus on the technological side of it and what could be done to advance the refrigeration product that’s used in the RV segment today. Helium, as Ellis explained, is a product that has been used for quite a long time in cooling — in hotel minibars, for example — and it has, from a cooling and gas-absorption standpoint, several similar properties to hydrogen. 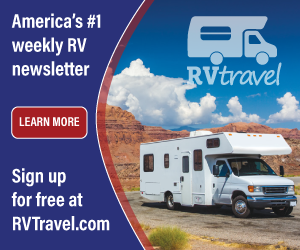 “The challenge has been in how to adapt that technology effectively to the RV market,” he added. 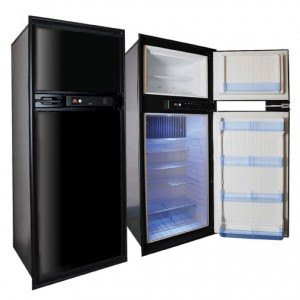 “The refrigerators are bigger units and they are subject to temperature swings and vibrations. Also, helium is a different element than hydrogen, so we had to reconfigure the system to accommodate the distinctions in helium versus hydrogen.” The new refrigerator will also help minimize potential problems from consumer misuse. Ellis says he isn’t trying to be an alarmist by any means regarding the flammability aspects of hydrogen and, as Ellis pointed out, hydrogen technology has been proven through the years in millions of gas-absorption refrigerators built for RV use. Yet, it’s clearly one of the aspects with which Atwood has been dealing in developing its new reefers. Additionally, Atwood’s new reefer incorporates a state-of-the-art “anti-tilt system” built into the unit that shows the consumer on a lighted panel if the refrigerator is level. If it’s not level, it allows them to work to get to the point where it is. If they continue to operate it in an out-of-level position over the life of the unit, it has a counter built into it that will prevent the unit from getting to the point where it could fracture. “If it’s used over and over in a manner that induces some sort of trauma to the system it will go into a lockout mode that requires the consumer to take it to a dealer for service work,” Ellis said. Atwood is currently showing the refrigerator to RV OEMs — it will also be ultimately available as an aftermarket replacement — and plans are in the works to debut the unit with a “managed rollout” in mid-August. At least initially, the new reefer will be available in 6- and 8-cubic-foot models.